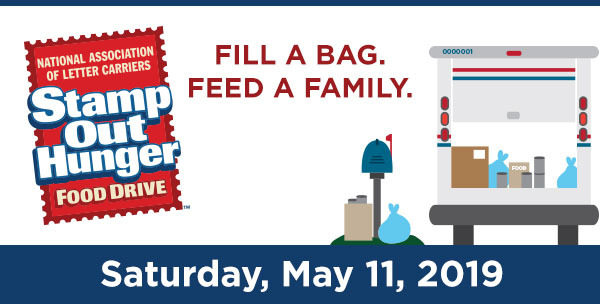 On May 11, 2019, Second Harvest Heartland will be partnering with the National Association of Letter Carriers and Cub Foods to orchestrate the nation's largest, single-day food drive: Stamp Out Hunger. We need your support in this monumental, collaborative effort. This is a great family event! Youth, age 8+, accompanied by an adult, are welcome to join the fun! We have multiple sites across the metro where we need your support! (Available sites are listed at the registration link). * More details will be available once you sign up.